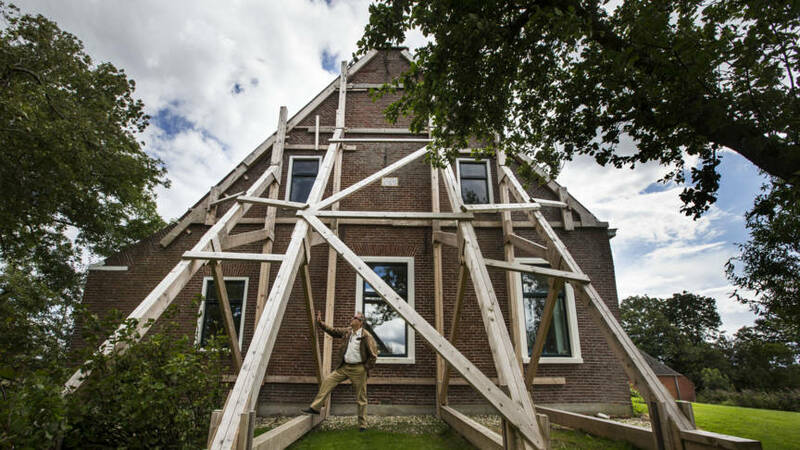 This photo shows a Dutch farm in Groningen province, one of many buildings damaged by earthquakes as a consequence of natural gas extraction. Shell and Exxon each own 50% of the shares in the NAM corporation which extracts gas in Groningen. These two big corporations sabotage paying compensation to the victims of the earthquakes. Today, RTV Noord in Groningen province in the Netherlands reports a big earthquake. 3,4 on the Richter scale. Zeerijp village in the north of the province was the epicenter; but it could also clearly be felt much further south, like in a hospital in Groningen city. It is the third worst ever earthquake in the Netherlands. There have been only two slightly bigger earthquakes. At this moment, we don;t know yet about damage and injured people. Very probably, once again, many farm buildings, homes, churches and other historical buildings have been damaged. UPDATE: so far, already over 400 reports of damaged buildings. On Wednesday 10 January 2018, Dutch government Minister Wiebes of the pro-Shell party VVD will visit Groningen. One should hope he will meet lots of Groningen people who are not afraid to tell him the truth to his face. The home of the chairman of the VVD caucus in the local council of Loppersum has been damaged. Lamp smashed to bits, dog extremely upset. Researchers at the Colorado School of Public Health have found a possible connection between the intensity of oil and gas exploration in an area and early indicators of cardiovascular disease among nearby residents: here. This entry was posted in Disasters, Economic, social, trade union, etc., Human rights and tagged Groningen, Shell by petrel41. Bookmark the permalink.